Feel the adrenalin rush on a jeep safari at the sound of Chital (Spotted Deer) alarm-calling in Kanha National Park – it could mean a Tiger is nearby!. A Tiger sighting is likely here along with Gaur (Indian Bison) and the rare Swamp Deer. Leopard and Sloth Bear are occasionally seen too. Before visiting Kanha, however, you can admire one of the modern wonders of the world on a late afternoon visit to the majestic Taj Mahal; watch as marble turns from white to peach in the changing light. 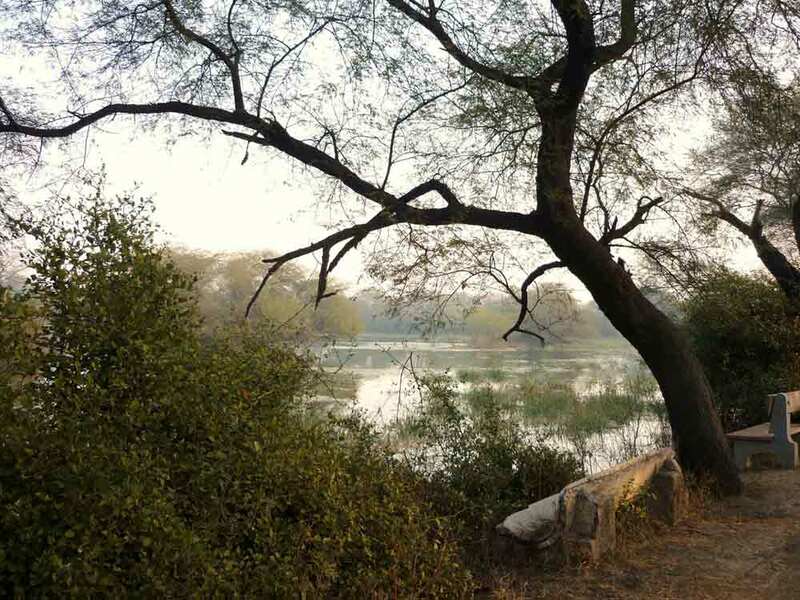 Explore Bharatpur Bird Sanctuary, one of India’s premier wetlands, where you’ll look for Sarus Crane, Black Bittern, Pheasant-tailed Jacana and so much more. Then relax on a boat safari along the calm waters of the Chambal river and photograph prehistoric-looking Marsh Crocodiles and rare fish-eating Gharials, all the while hoping for a thrilling encounter with Gangetic River Dolphin. 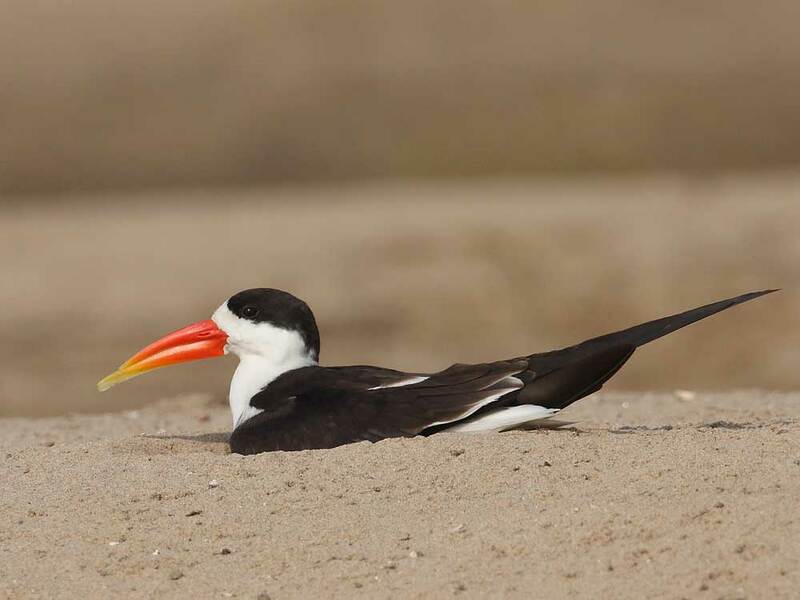 Throughout this tour you will marvel at the vast array of stunning birds and other wildlife. Arrive at Delhi International Airport where you will be welcomed by our representative and taken to check in at a local guest house/hotel. Spend the remainder of the day exploring Delhi sites with your driver. Night in Delhi. After breakfast your driver will take you to Bharatpur. The journey should take approx. 5 hours, depending on traffic. We recommend leaving early if you can (breakfast served from 7am), to avoid the worst of the rush hour. 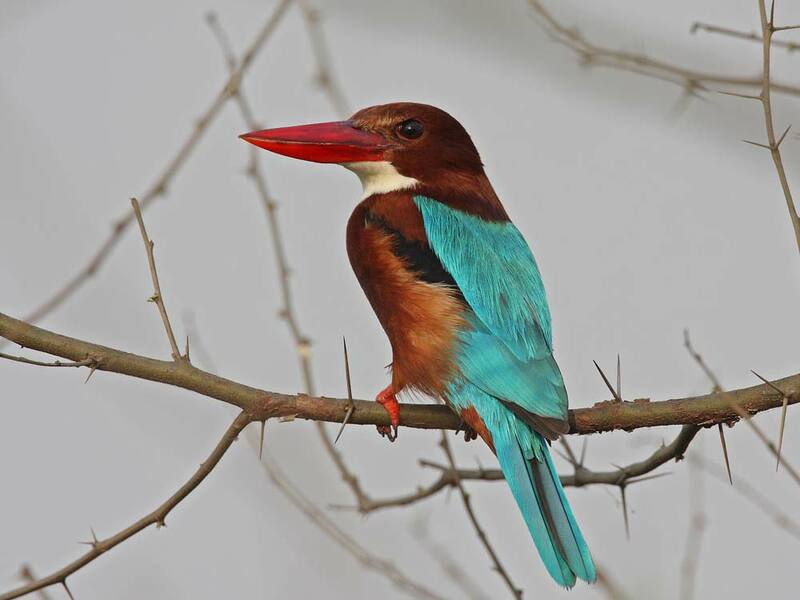 Check in to your hotel, just a few hundred metres from the entrance to Bharatpur Bird Sanctuary. Spend the remainder of the day exploring the sanctuary with an experienced guide. 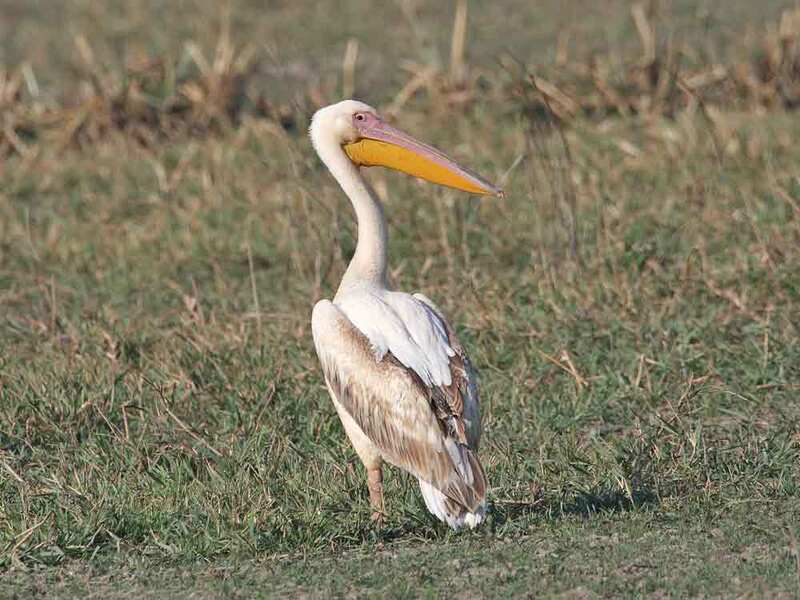 Bharatpur is an incredible place for wetland birds Expect wonderful views of the often vocal Sarus Crane, elegant Black-necked Stork, raucous Painted Storks and egrets around their breeding colonies, Eurasian Spoonbill, Glossy and Black-headed Ibises. 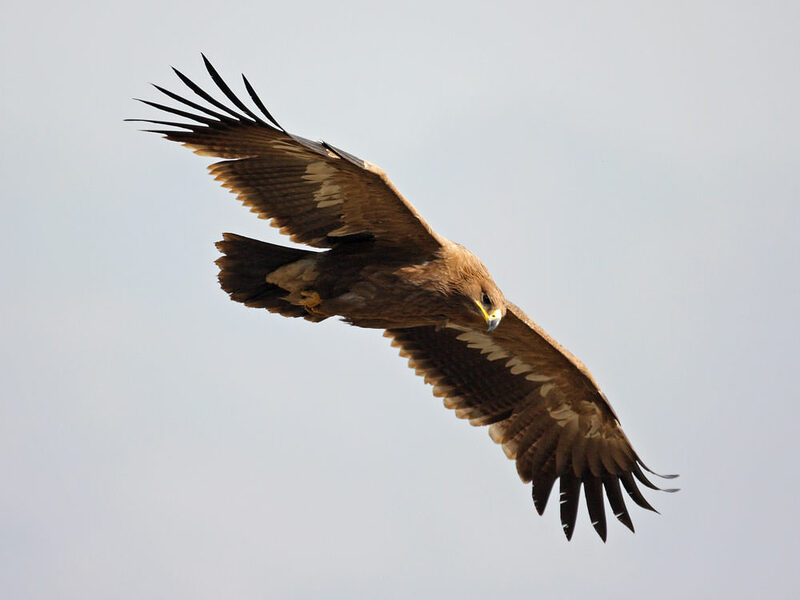 Rafts of ducks including Red-crested Pochard, Comb Duck, Indian Spot-billed Duck and Ruddy Shelduck are often spooked when eagles and harriers venture too close – you can expect to see several species of Eagle here too! 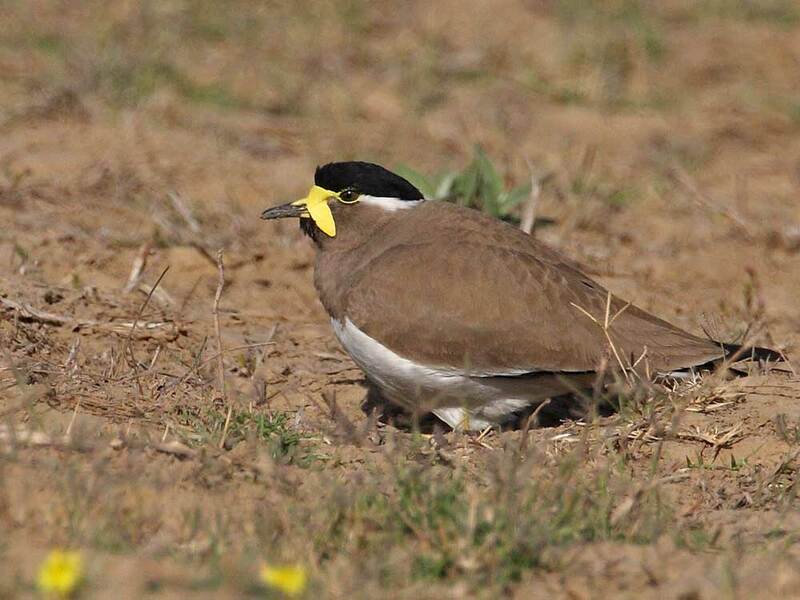 It is worth checking adjacent fields where you can see Indian Courser and Yellow-wattled Lapwing. Relax for the evening at your hotel. 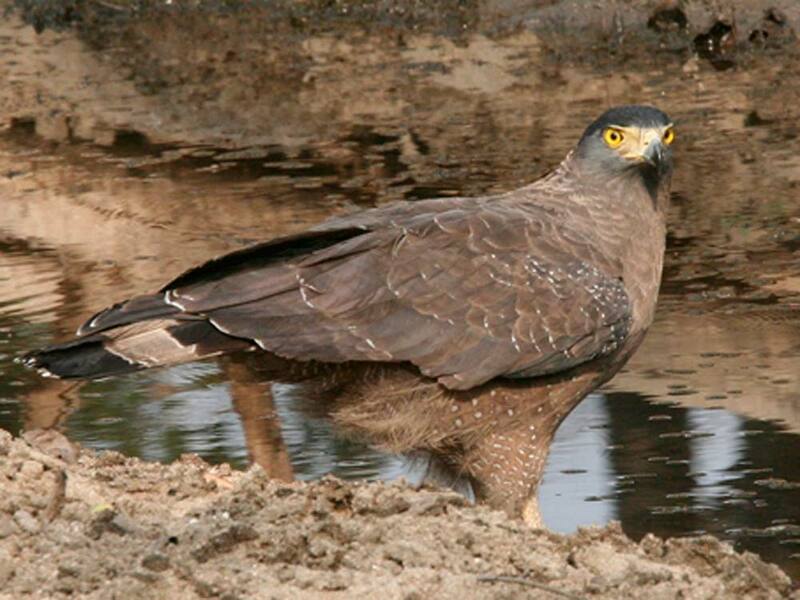 Explore Bharatpur Bird Sanctuary for the whole day with an experienced guide. 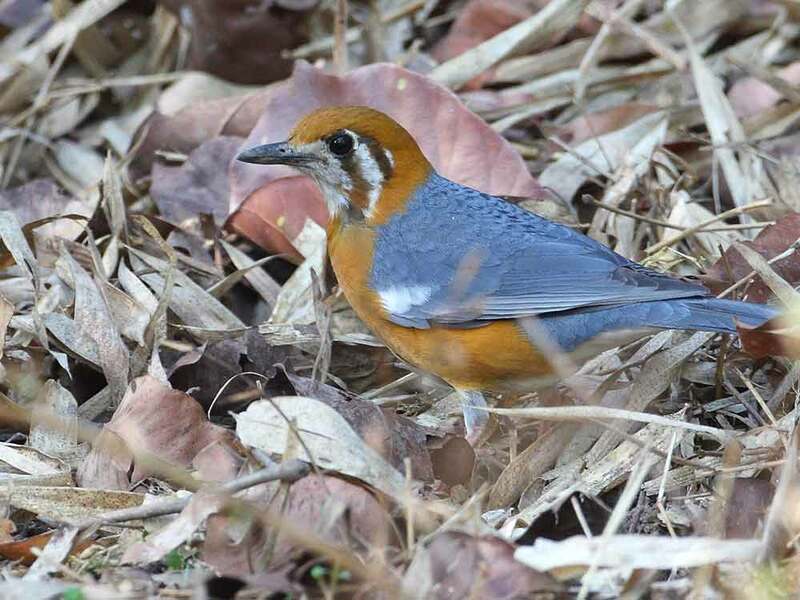 The wet woodland, dry acacia scrub, and extensive grasslands attract many brightly coloured birds including Orange-headed Thrush. Bluethroat, Oriental Magpie Robin and Pied Bushchat hop around the track-side, the skulking Siberian Rubythroat is seen each year and can often be observed with a bit of time and effort. Guides know where to look for Dusky Eagle Owl, Spotted Owlet and Indian Scops Owl. You just need to follow the distinctive calls to see Coppersmith and Brown-headed Barbets. Red-vented Bulbul, Small Minivet and Golden Oriole are all regularly seen and much more. 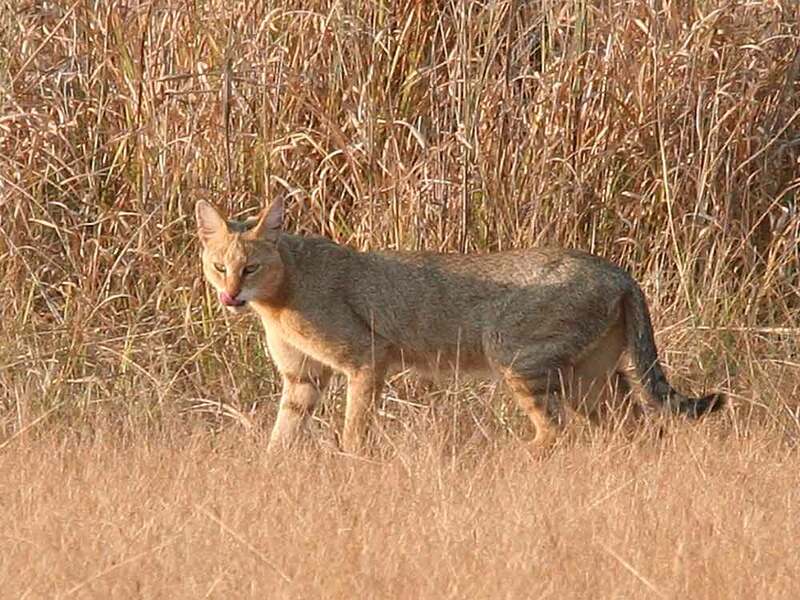 Look out for mammals too: Golden Jackal, Spotted Deer, Nilgai, sometimes Jungle Cat and other mammals are just a few of the common species you can see with the help of your guide. Pack your bags tonight, as you’ll be leaving early next morning. Relax for the evening at your hotel. After an early breakfast you will leave for Chambal. The drive to Chambal Safari Lodge will take approx. 3 1/2 hours. Journey, in part through typical Uttar Pradesh countryside and see local people at work in the fields and rural businesses including brick furnaces. Arrive at your safari lodge and check in to your cottage. In the grounds you can often see Fruit Bats, Common Palm Civet and Brown Hawk Owl. You can add more species if you venture into the local farmland. Relax for the remainder of the day at your lodge. 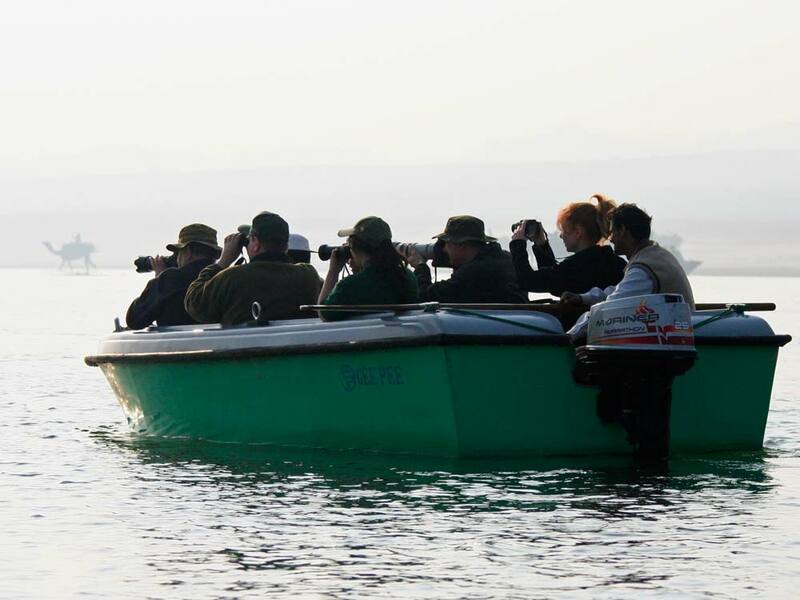 In the morning enjoy a two hour boat trip with the resident guide along the River Chambal to explore the National Chambal Sanctuary. 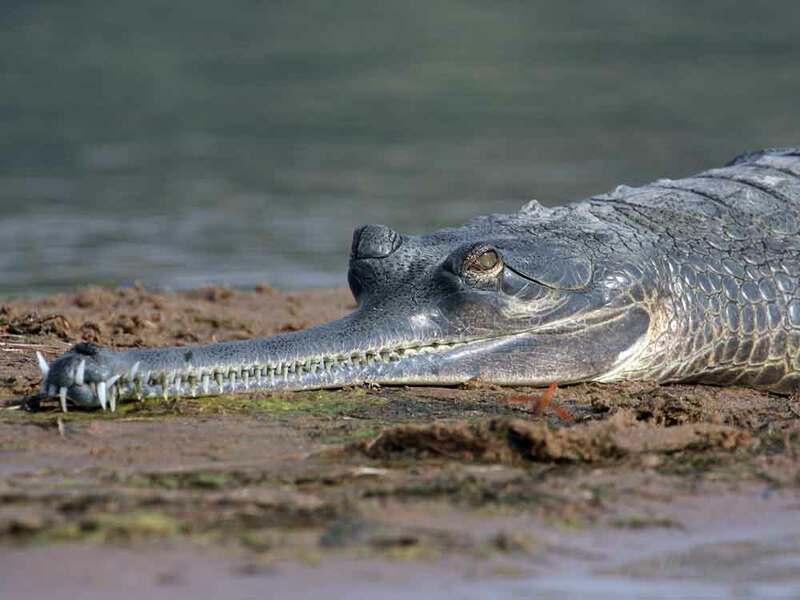 Species here include Indian Skimmer, Gharial (an uncommon fish-eating crocodile), Marsh Crocodile, may species of bird and, if you are lucky you might glimpse the rare Ganges Fresh Water River Dolphin. 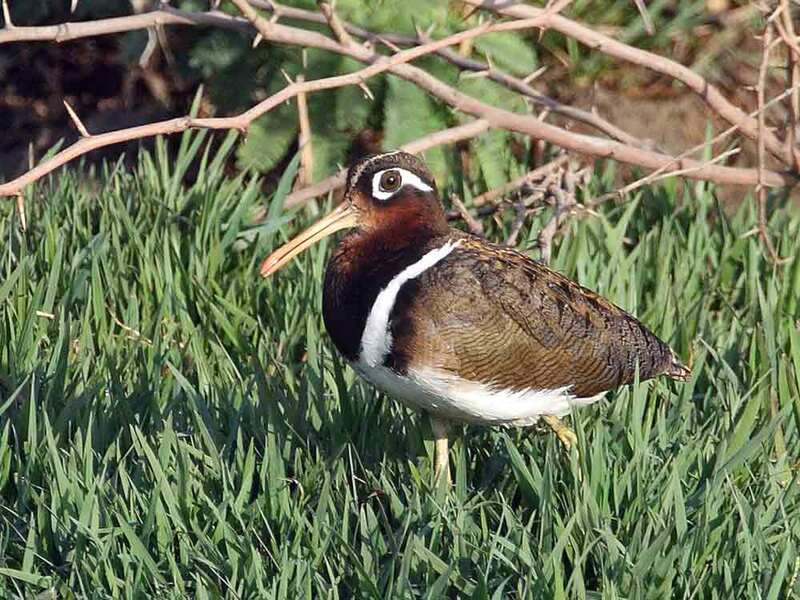 In the afternoon explore the grounds and local arable areas with the resident bird guide. Relax at your safari lodge for a second night. 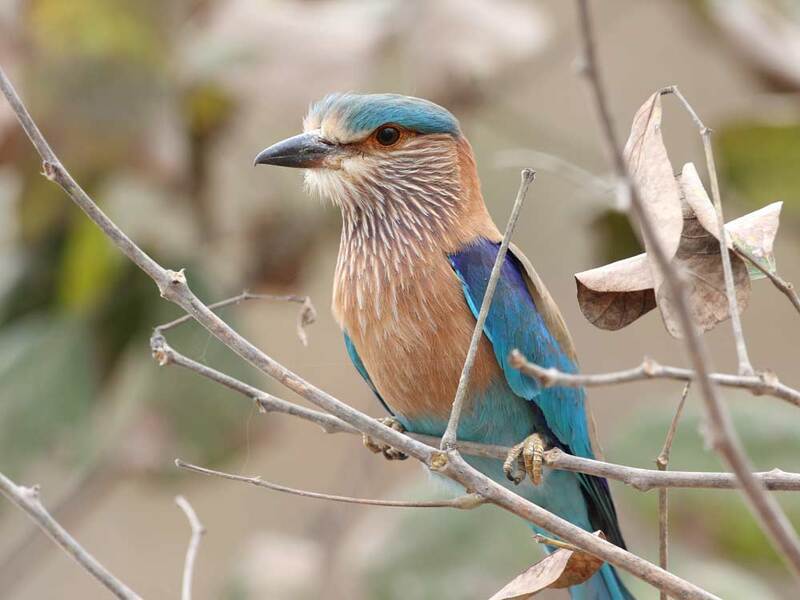 Spend the early part of the morning birdwatching around Chambal. After breakfast your driver will take you to Agra. 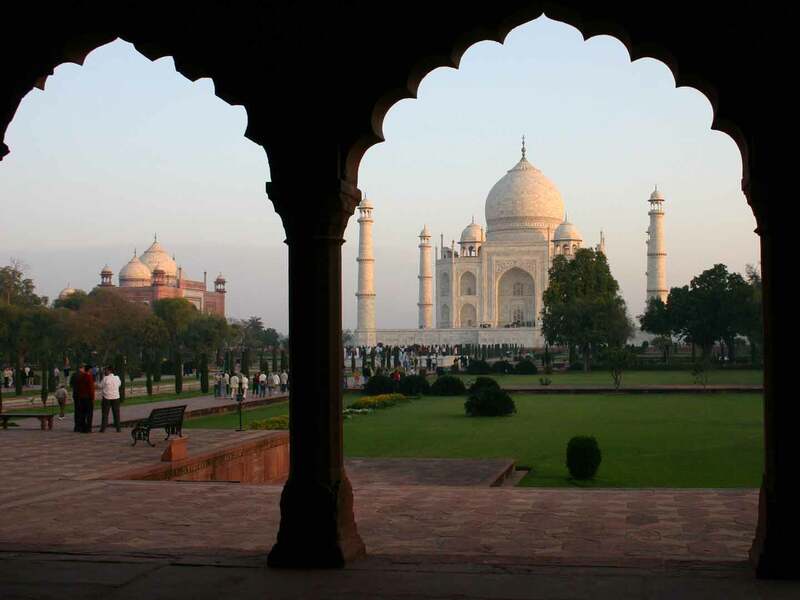 We recommend you visit Agra Fort first and then the Taj Mahal with a guide. A mid-afternoon viewing of the Taj Mahal is recommended and then you can see the marble often turns from brilliant white to peach tinted. Both are World Heritage Sites worthy of a few hours of anyone’s time, but if time is tight, you could decide to visit the less visited Baby Taj instead of Agra Fort. The Taj Mahal is closed on Fridays. 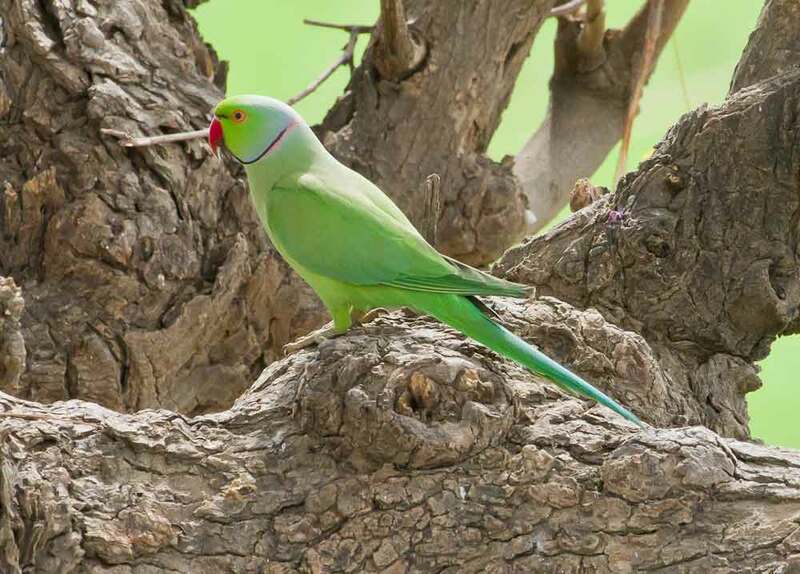 Don’t forget to appreciate the Five-striped Palm Squirrels in the grounds and look for River Lapwing behind the Taj Mahal on the banks of the Yamuna. Lunch and dinner are payable directly today and we recommend you eat in Agra where there are plenty of restaurants to choose from or take snacks with you for the journey on the train. You will then be transferred to the railway station to catch the Mahakoshal Express departing Agra at 1930 hours. Overnight on the air-conditioned sleeper train (pillow, sheet and blanket provided). Your train is expected to arrive early in Jabalpur at 0935 hours, though sometimes it can run late, so you should ask other passengers or the ticket checker and they will advise accordingly. This is the end of the line for this train, so you will have plenty of time to disembark. Your driver will be waiting for you on the station platform, so look for your name on a placard. From here Kanha is a 3 1/2 – 4 hour drive. First you’ll stop at Hotel Jackson for breakfast (included in the price). Check in is usually from 12 noon, earlier if rooms are available but if not, you can relax in the communal areas of the lodge. In the afternoon you can explore around the lodge environs and in the deluxe category only we can guarantee the availability of the resident lodge naturalist to accompany you. Let us know if you’d prefer us to include an extra safari this afternoon and we can supply you with a supplement for this. 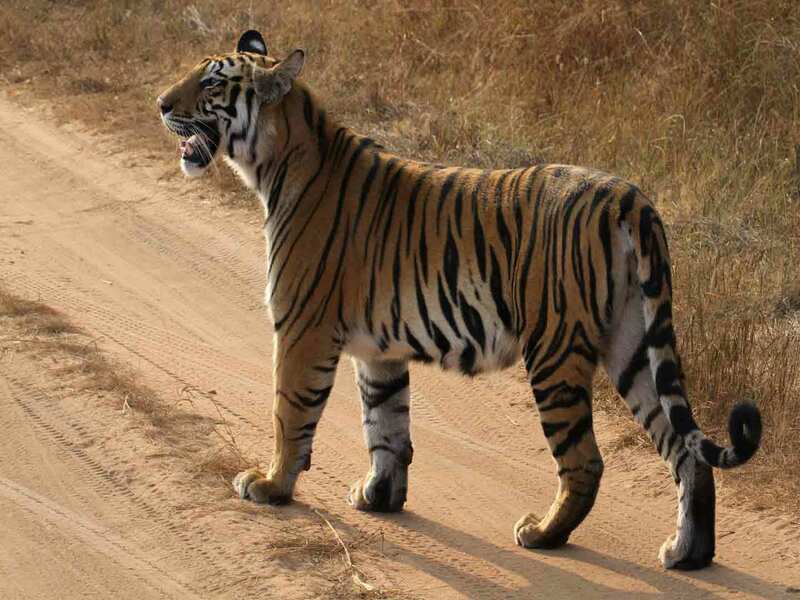 Enjoy morning and afternoon jeep safaris inside Kanha National Park, home to the ultimate of predators, the Bengal Tiger. 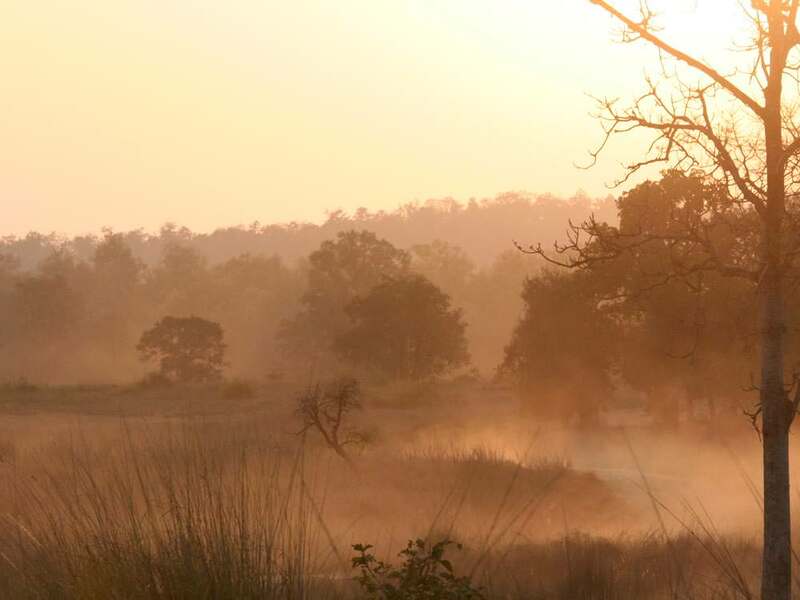 Kanha is also an excellent place for Gaur (Indian Bison), Swamp Deer, Wild Dog and Jungle Cat. Sloth Bear and Leopard are occasionally seen, but require more luck. 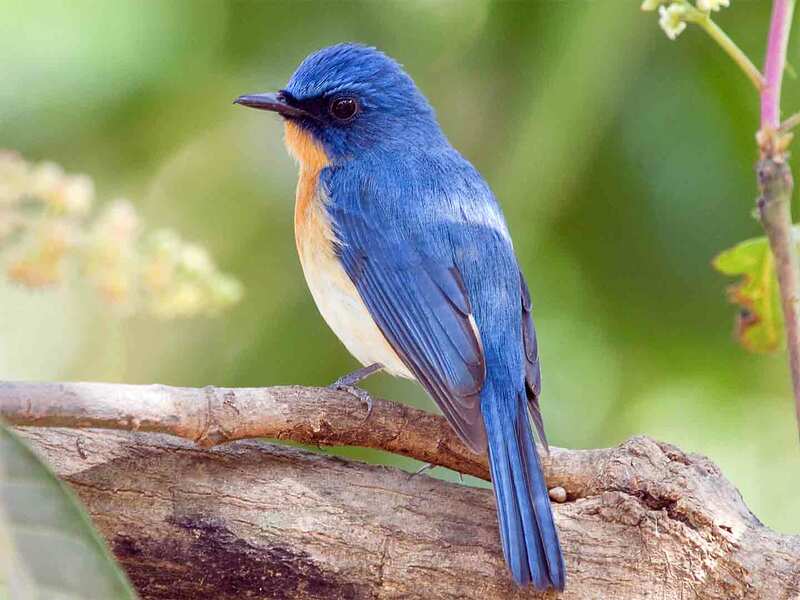 Kanha boasts an impressive bird list and species might include Scarlet Minivet, Orange-headed Thrush, Black-hooded Oriole, Tickell’s Blue Flycatcher and Plum-headed Parakeet. 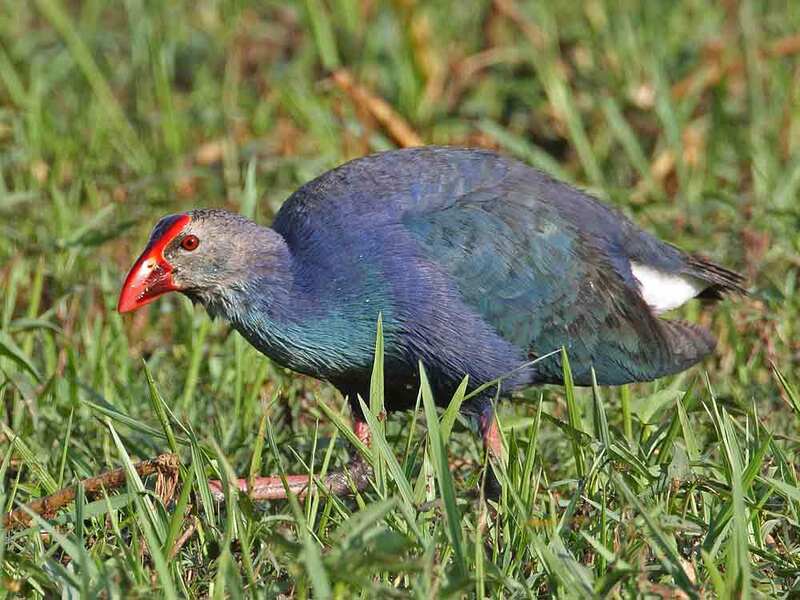 You might also see the ugly yet characterful Lesser Adjutant Stork and the impressive Changeable Hawk-eagle, while Red Spurfowl or Red Junglefowl might race across the jeep track. Back at the lodge you will have a few hours in the middle of the day to relax and have lunch before setting off on your afternoon jeep safari. Nights at your safari lodge. Enjoy a leisurely morning, or you could choose to include an extra jeep safari inside the National Park (supplement can be supplied). After lunch and a siesta explore on foot the area around your lodge (for deluxe category we can guarantee the company of the lodge naturalist). Night at your lodge. Have a more leisurely morning for packing. Then we’ll transfer you to Nagpur or Jabalpur to catch an internal flight to Delhi (to be arranged by you and excluded from the price – see flight information in the ‘How to book’ section below). On arrival look for your driver outside the airport building (scan the placards for your name) and you will be transferred to your hotel for a final night. On this day we have included a departure transfer to the airport to connect with your international flight home.